Giant: FREE Gum Flossers Thru 1/3! 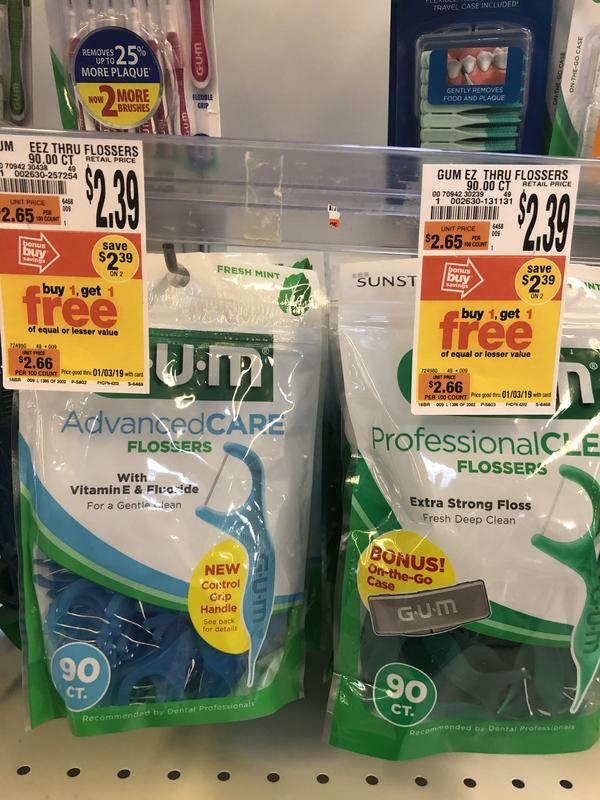 Thru 1/3/19, Gum Flossers 90 ct are on Buy One Get One Free sale. 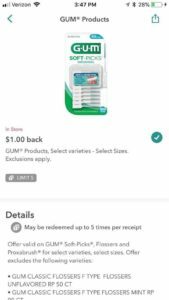 Stack a Gum Product printable coupon and a ibotta rebate with this deal to make the final price FREE. Note: This rebate may not be available to all users.